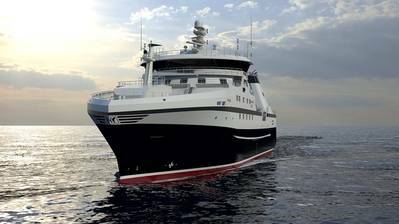 Rolls-Royce has received a supply order from Spain’s Astilleros Gondan shipyard for the design, propulsion and auxiliary machinery systems for what has been dubbed one of world’s most advanced fishing vessels. 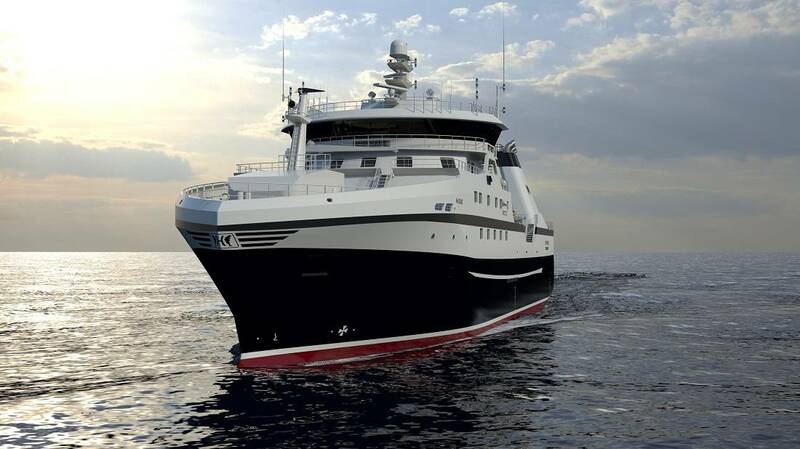 Scheduled for delivery in 2020 to Prestfjord Seafood, a division of Norway’s Holmøy Maritime, the 77m trawler will be based on a Rolls-Royce NVC 732 WP design arranged with triple trawl and pelagic trawl for operation in Arctic waters catching white fish and shrimps. The vessel has been designed to accommodate a 29-person crew. In addition to the design, Rolls-Royce will supply a hybrid propulsion system based around a Bergen B33:45 main engine driving a Promas propeller/rudder combination. This arrangement was specified to meet the owner’s specific requirements for low fuel consumption, reduced emissions and low noise and vibration. Commenting on the efficiency of the NVC design, Hide explained that since many fishing vessels operate in the far north, a minimal environmental footprint is a key factor in selecting the design. In addition to the NVC 372 WP design and diesel/electric propulsion system, Rolls Royce will deliver to the yard an auxiliary engine, a tunnel thruster and a complete deck machinery package, which includes permanent magnet winches. The vessel’s electrical and power plant will comprise a Rolls-Royce Power Electric System and automation systems, and also a battery package. The new contract follows the delivery of the NVC 370 trawler Holmøy from the Freire Shipyard to Prestfjord in March 2016. When this vessel was delivered, it represented the first-ever installation of the then new Bergen B33:45 engine series.